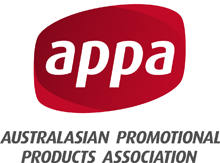 Promotional merchandise by colour ranges ,Custom printed merchandise in set colour ranges. Vivid Promotion’s Shop By Colour Category allows you to narrow down promo items that are in the colour you wish to choose for your merchandise! We have a bunch of products to give you some ideas and we have many more options throughout the website. Choosing your promotional merchandise by colour allows you to colour co-ordinate all of your goods and print the same logo on each item. Vivid Promotions has Blue Promotional Products including Caps, Balloons, Bottle Openers, Scarves and Tote Bags. Blue Promotional Products are ideal for government organisations, police departments, sports teams and more. If you’re after Green Promotional Products then our selection of Green Stubby Coolers, Balloons, Backsacks, Calculators and Eco Pens should do the trick. Green Merchandise is perfect for Eco Friendly and Outdoor Promotions, summer events and Zoo’s. We also have a wide range of Pink Promotional Products which are great for women’s events and fundraisers. Check out our Pink Bags, Piggy Banks, Body Lotion, Bucket Hats, Nail Files and Votive Candles. Custom Branded Purple Promotional Products include PVC Organiser Pouches, Lip Balms, Coin Banks, Embroidered Caps and more. If your company colour is predominantly purple then Vivid Promotions will have the products for you! All of our Purple Products can be branded with your logo in one way or another and will generate great brand exposure. Perfect for Hospitals and medical companies are our bright Red Promotional Products! Check out our handy first aid kits, Red Balloons, Ceramic Coffee Mugs and Bath Salts Jars. Not only are Red Products eye catching, they are also low in cost making them a great option for a wide range of School Events, Fundraisers and Government programs. Make your next event really stand out with Vivid Promotions’ Yellow Promotional Products. Yellow gift ideas include Balloons, Yellow Stress Toys, Printed Magnets, Shopping Bags, Pencils and more. Yellow Products are a great backdrop for black and dark coloured logos as the bright yellow colour really makes it pop! Choose a range of Yellow Merchandise items for your next school fete, summer concert merchandise, gifts with purchases or a brand launch.